Co-Optimus - News - Does Co-Op Gaming Decrease Violent Behavior? Recent Studies Say Yes! Is cooperative gaming a counter towards the development of potentially violent behavior? Studies have shown that it’s true! Video Game psychologists have looked into the opposite spectrum of video game violence to discover if playing violent video games under certain circumstances will ultimately lead to more cooperation and trust in real-life behavior. We hear it all the time as gamers that playing violent video games has been proven to increase aggressive behavior. But what if we told you that co-op gameplay can actually do the reversal of that and actually change people to communally work together? If this is the case, then developers can kick the notion that many modern video games breed violence and work towards improving the video game image worldwide through co-op! The question of: Does playing cooperatively change player’s behaviors to be less aggressive/violent and more willing to work together with people in the real world? Wai Yen Tang, a blog writer over at VG Researcher, explored three recent video game studies writing about the concept. The first of these three studies features Mike Schmeirbach’s (2010) work, who was focused on figuring out how different modes of gameplay, such as single, co-op, or multiplayer, affected violent behaviors. He surveyed test subjects after letting them play Halo modes over Xbox, and asked them to finish incomplete sentences with words of their choosing (with the exception of their words having to start with the given two letters: KI, DE, BL, etc). Those gamers affected by the violent games were more likely write words like KILL or DEATH rather than those who haven’t. At the end of the study, it was discovered that, to their prediction, people who played more co-op mode were more likely to use non-violent words. This can be used as evidence of a decrease in “aggressive cognition”. The opposite results also ended in their respective manner; more multiplayer meant more angst. Co-op gameplay has been correlated with trust building, positive behavior. A simple high-five after a co-op accomplishment may, in fact, impact post gaming aggression. The two other groups of Greitmeyer, Traut-Mattausch, and Osswald (2012) and Ewoldson et al (2012) looked into the after effects of long-term cooperative play has on gamers (this focus seemed to be more relevant to what we hope co-op gaming brings us). Using games such as FlatOut, Halo 2, Far Cry, and Tetris (in either competitive or cooperative settings), subjects were told to play these games for a time period, then put their controllers down and given opportunities to work together in social dilemma type games (non-video game). 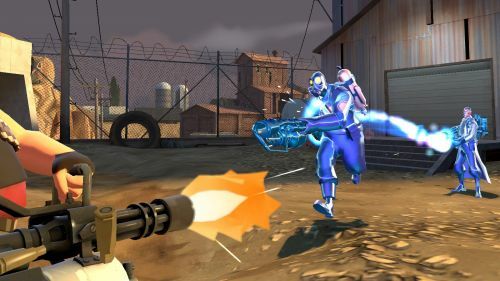 Ewoldsen et al concluded that players who played the co-op game modes were more willing to employ “you scratch my back, I’ll scratch yours” tactics, working with other players to openly cooperate or punish other players depending on their level of competitive cooperation. This was a very common method used by players aiming to cooperate from the beginning and maximize game outcomes for everyone. Greitemeyer’s group similarly explored the level of post co-op gameplay behavior, more specifically in group melding, trust, and teamwork. Like the other studies, players that teamed up (despite the obviously violent nature of the games) felt more trustworthiness and cohesion being formed when all grouped to tackle a common enemy. Unfortunately, these behaviors are normally short lived if players aren’t exposed to cooperative experiences on a consistent basis. 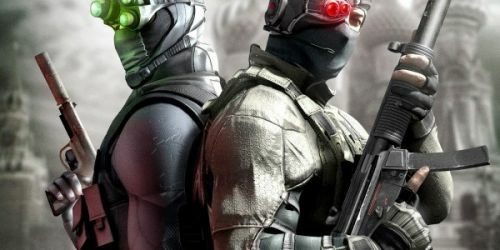 Developers should be trying to figure out ways to make the effects of short-term co-op gaming last longer through implementing cohesive and trust building elements. The key here is that timing of the implementation is critical to achieving longer lasting cooperative behaviors. 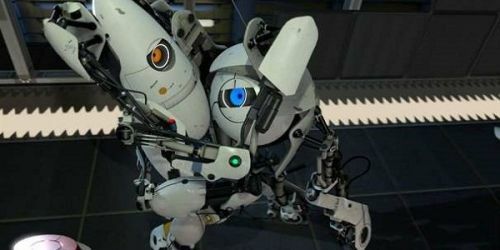 Say you and your co-op partner just captured the flag or an objective together, immediately after the achievement happens, positive collaboration or interaction incentives (such as Portal 2’s taunts and high-fives from Atlas and P-Body or healing a player as the Medic in TF2) should occur. Small additions like these to co-op gaming can slowly, but solidly build trust on the subconscious level, without the players even realizing it happening! The main thing to take away from all of this science is that: co-op gaming has the potential to effect players in real life by improving their cooperation and unity with other people. That, my fellow gamers, is something worth playing for! Parents: encourage your children to choose to play co-op games rather than those that would isolate them from teamwork. In the long run, it could have a massive impact on our gaming culture! Ewoldsen, D. R., Eno, C. A., Okdie, B. M., Velez, J. A., Guadagno, R. E., & DeCoster, J. (2012). Effect of playing violent video games cooperatively or competitively on subsequent cooperative behavior. Cyberpsychology, Behavior, and Social Networking, 15 (5), 277-280. Greitemeyera, T., Traut-Mattauschb, E., Osswaldc, S, (2012). How to ameliorate negative effects of violent video games on cooperation: Play it cooperatively in a team. Computers in Human Behavior, 28 (4), 1465-1470. Schmierbach, M. (2010). “killing spree”: Exploring the connection between competitive game play and aggressive cognition. Communication Research, 37 (2), 256-274.